For Karla Swindle, owner of S & K Quarter Horses in Fayette, AL, animals have always been, and always will be, part of the family. 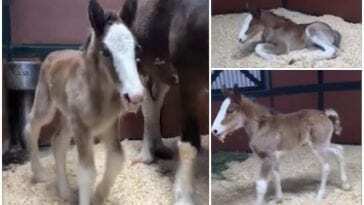 She does everything she can to help them live their best lives, but even her love couldn’t stop a tragedy from happening only days after the birth of a new foal. 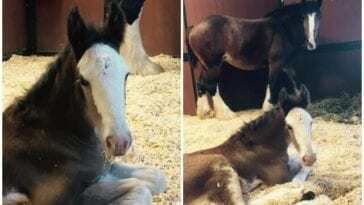 The foal’s mother passed away, and Swindle was suddenly faced with the challenge of raising an orphaned foal. Thankfully, she doesn’t have to do it alone. 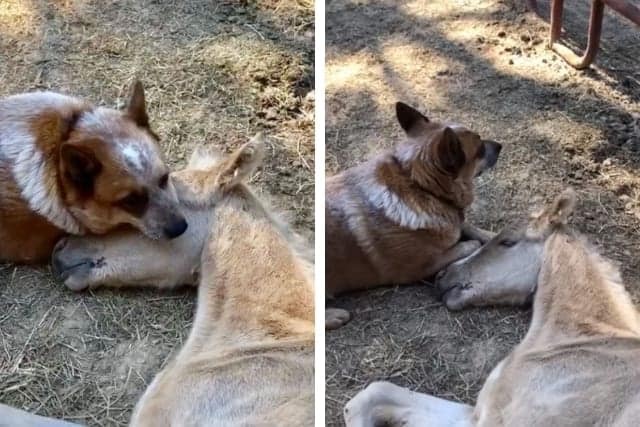 Her rescue dog named Zip has stepped up in a big way, and the love and compassion he has for the orphaned foal is touching hearts everywhere. When the foal was born, everything seemed normal. Swindle reported the birth went “fine,” and she was there to watch the baby take his first steps. 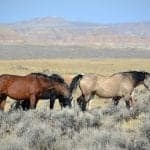 But when the foal was about a week old, his mother started showing signs of illness. 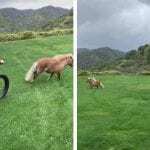 She seemed to recover quickly, but two days later, the mare’s health quickly deteriorated. It became obvious that the new mother was suffering, and veterinary care wasn’t helping. 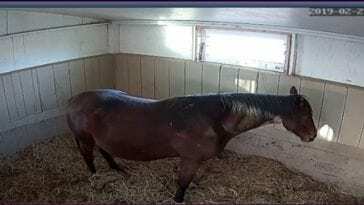 A heartbreaking decision was made to have the mare humanely euthanized. Caring for an orphaned foal is no easy task, but Swindle is thankful to always have Zip’s help. The foal was being nursed with milk replacement, and he’s now learning to feed himself from a bucket. He requires attention every few hours, and Swindle can always count on Zip to make sure he never feels alone. If he was allowed, Zip would choose to spend all day in the barn with his adopted baby. As the baby continues to grow, Zip has refused to give up his position as caretaker and protector. He takes his role seriously, and Swindle expects the pair will be friends for life.